Any enterprising entrepreneur can kick start a small business easily and quickly today with the myriad of powerful tools and resources on the Internet. 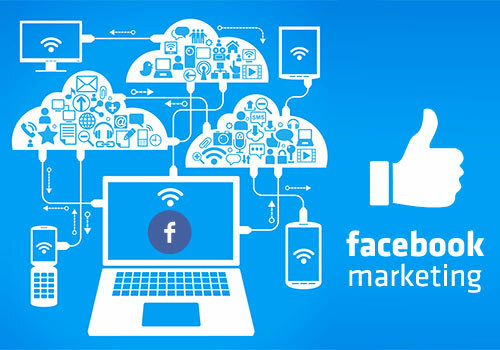 Social media networks form a dynamic platform for small business owners to jump start their business online with the incorporation of social media tools and resources such as Facebook and Twitter. Although Facebook is currently the more popular choice of online social media platform today with its millions of followers, Twitter is fast gaining momentum in popularity and number. This makes it a valiant contender for any small business enterprise today. There is no doubt that Twitter can be an awesome online business tool for small to large businesses as long as the business owner or marketer is determined to manipulate its features and resources insightfully. One of the huge benefits of using Twitter marketing is that it is free of charge. This feature helps any small business enjoy great savings on advertising and marketing activities in promoting its market visibility, especially when it is new to the market. Twitter is a great marketing tool for today’s high tech market environment where most businesses are driven by progressive technologies and modern business solutions. Small business owners or marketers can engage a scheduling tool that automates Twitter marketing activities. HootSuite and Timely.is are two excellent Twitter scheduling tools that execute automatic scheduling effectively. Timely.is can send out tweets to a maximum reach quickly and automatically once the queue is set up by the marketer. On the other hand, HootSuite schedules tweets according to the time periods preferred by the business owner or marketer with a scheduling update feature for other social media networks. It can create a search “stream” using preferred Twitter keywords to track brand and topics on Twitter. Rookies would find Twitter search very powerful and effective for their building up of business contacts. Moreover, these Twitter tools are great for monitoring brand effectiveness with real-time insight on branding. Using Twitter to market can draw more attention to the small business in the marketplace to be better established. This real-time customer service tool allows a prompt response to customer queries which enhances market visibility of the business entity. Good publicity is generated as prompt services are viewed by consumers. The primary focus on Twitter is a constant engagement with customers to keep connected with regular tweets on interesting and meaningful topics. It is not about blasting out marketing messages for a hard sell. Strong and personal relations are essential in building up a dynamic Twitter marketing, especially for small businesses that are required to establish their worth in the marketplace in terms of prompt services and quality products. Building good relationships with customers, related industry leaders and potential business partners via Twitter marketing is crucial to the success of a dynamic Twitter marketing campaign. Any small business today in any industry can achieve market stability in a short period of time after the initial setup with Twitter marketing. Twitter allows the business owner or marketer of small enterprises to connect with wider networks of like-minded audiences across the globe to boost business image, branding and operations. Twitter offers enterprising marketing features that are modern, advanced, convenient and free in mainstream marketing environments to capture the best categories of audiences. It is possible to leverage on Twitter to build a strong customer list quickly. Short messages of less than 140 characters on Twitter respect consumers’ time and busy schedule where only relevant points and links are sent out. Another enterprising Twitter feature is its free tool TweetLater which can create an automated tweet to all new followers in the form of a direct message on their Twitter page and personal email. This can serve as a welcome message and a good form of acknowledgement to new followers. A personal but short message with no nuance of a hard sell on this auto pilot feature serves to establish good links with new customers. Small business owners or marketers need to take proactive actions to manipulate Twitter features for the best of Twitter marketing effects or outcome. Besides establishing a customer database with a short and welcoming message to new followers on Twitter, business owners or marketers need to continuously undertake certain proactive actions to keep drawing new followers in expanding the customer base. There must be a constant request to follow the business owner or marketer on Twitter. This can only happen if there are interesting, relevant and useful information posted regularly to entice followers to stay connected and expecting for more. A host of creative information can be tweeted and posted; this includes inspirational quotes, tips, news and jokes that would enlighten followers. 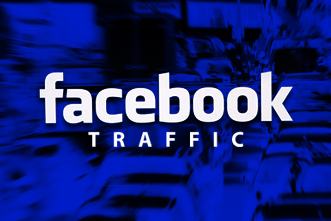 A link to the small business owner’s Facebook account would be ideal in boosting the enterprise market visibility that would capture the attention of top search engines for higher SERPs on the web business site. Many online businesses tend to miss the golden opportunity to connect or win over potential leads on Twitter as they tried too hard to push their products and services regardless of how awesome the offerings may be. Modern consumers are not taken in by hard selling, but establishing good relationships with simple, light-hearted tweets that are fun and easy in life. Twitter marketing can also be manipulated to seek out influential parties that can contribute to the further success of a small business in its expansion plans. Potential business partners can be identified through tweets that showcase like minded people who are interested in the business expansion. Twitter marketing holds great potential for even the smallest business today with the wide array of tools and free resources available. It is easy to build a continuously expanding list of Twitter followers with a strong relationship that would boost business operations and growth in a short period of time. Interesting information can be tweeted to like-minded people who can contribute to the business as partners, associates or authorities in various fields to post interesting tweets. Higher sales and multiple income streams can be formulated from a successful Twitter marketing campaign.